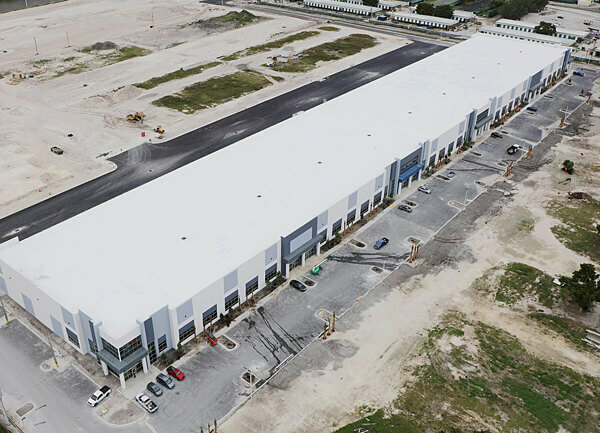 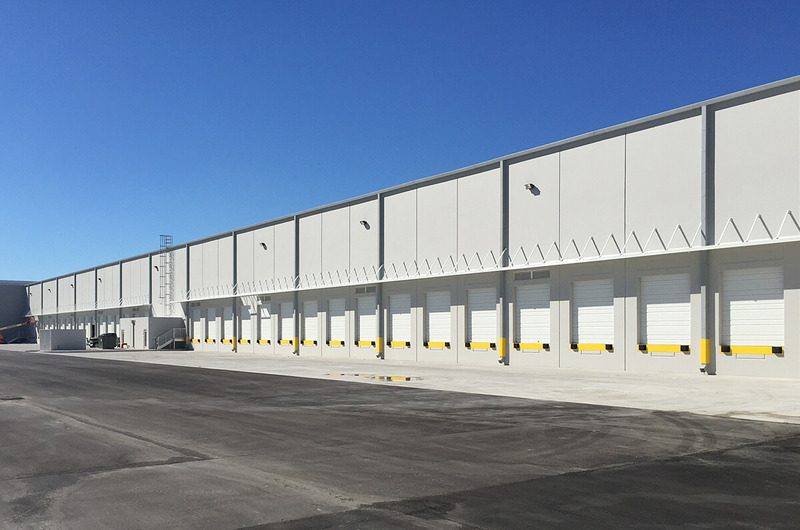 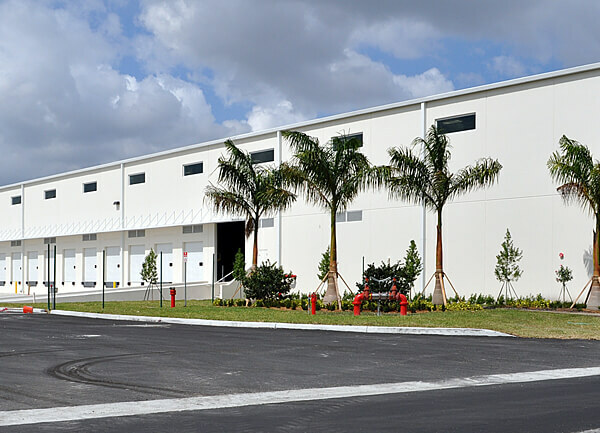 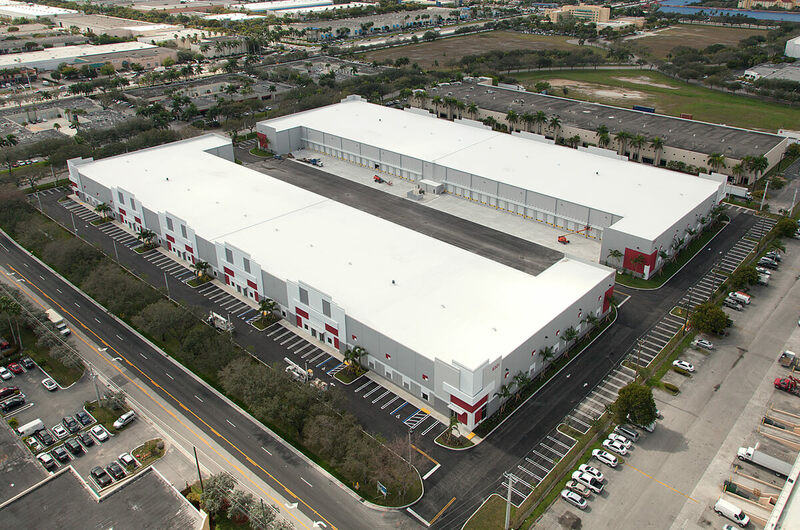 This two-building complex provides next-generation warehouse/distribution space for international trade operations, with 30-foot ceilings, 54- by 50-foot column spacing, ESFR fire sprinklers, and T-5 lighting with motion sensors. 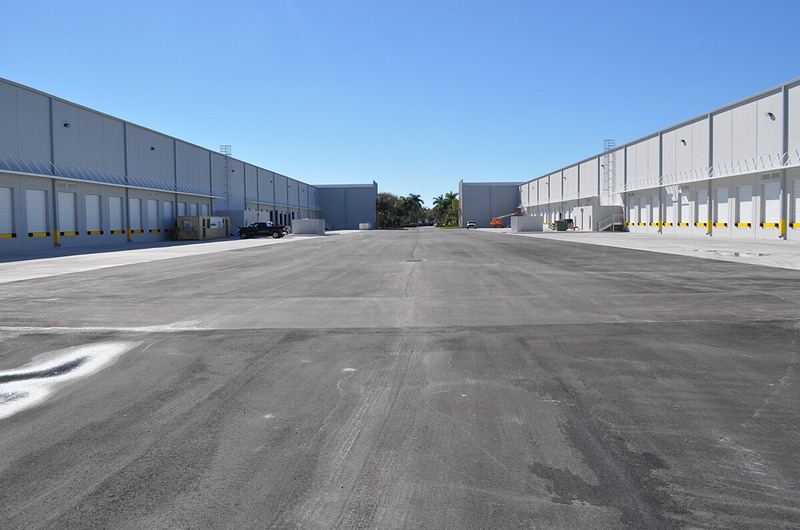 The reinforced concrete and tilt-wall buildings wrap around a secure 180-foot truck court that provides easy maneuverability, with dock-high loading for the center’s 69 bays. 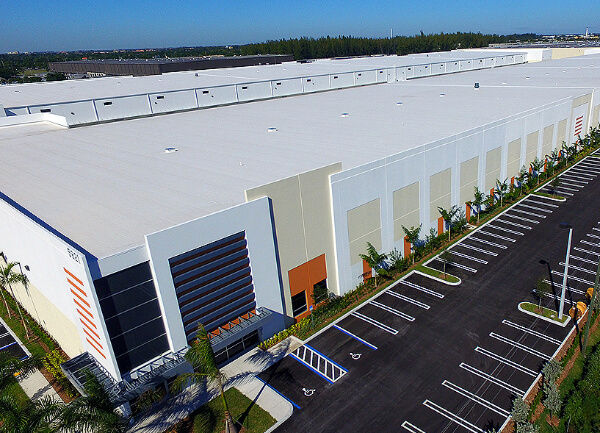 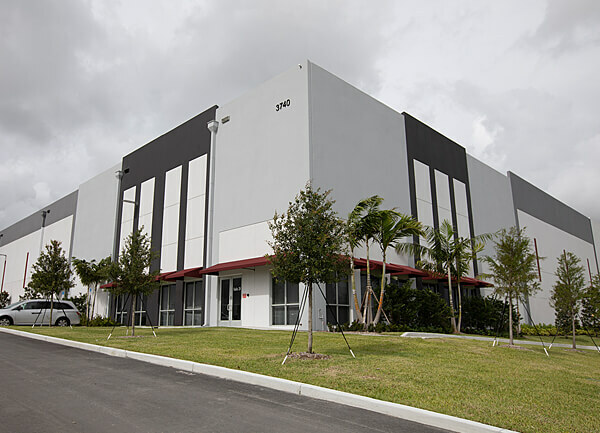 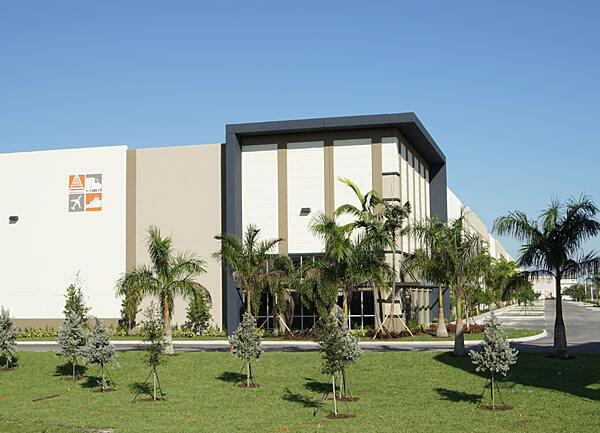 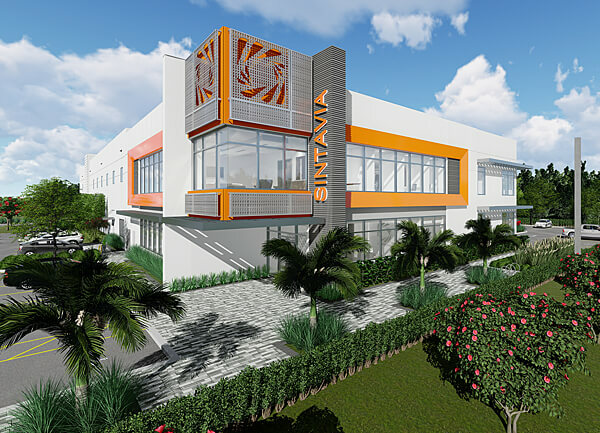 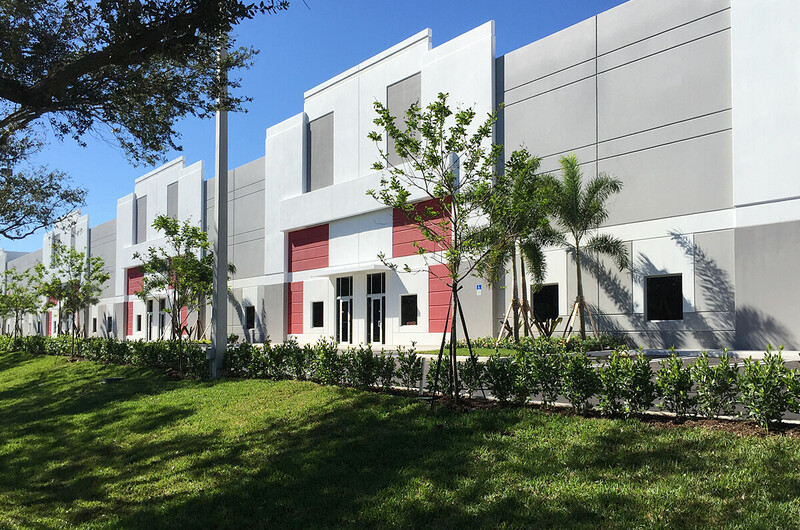 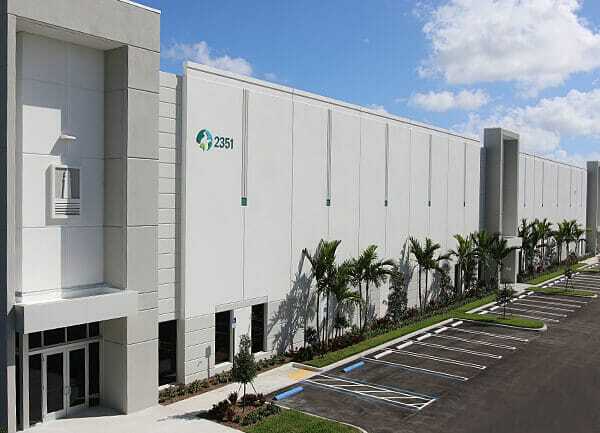 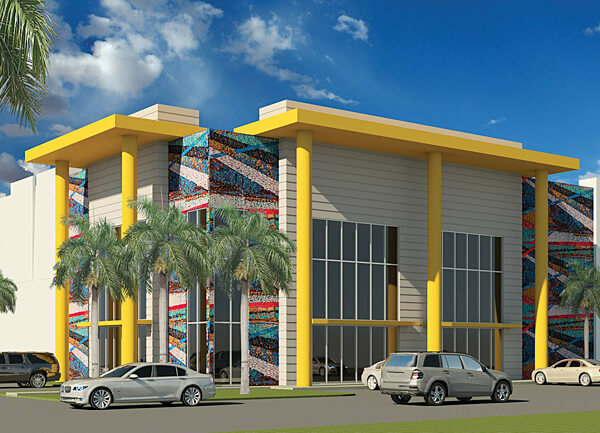 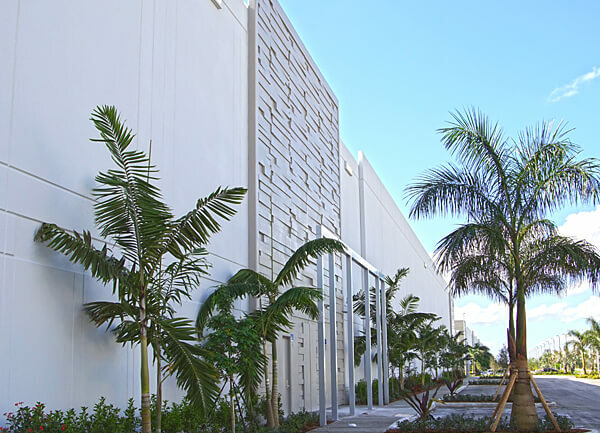 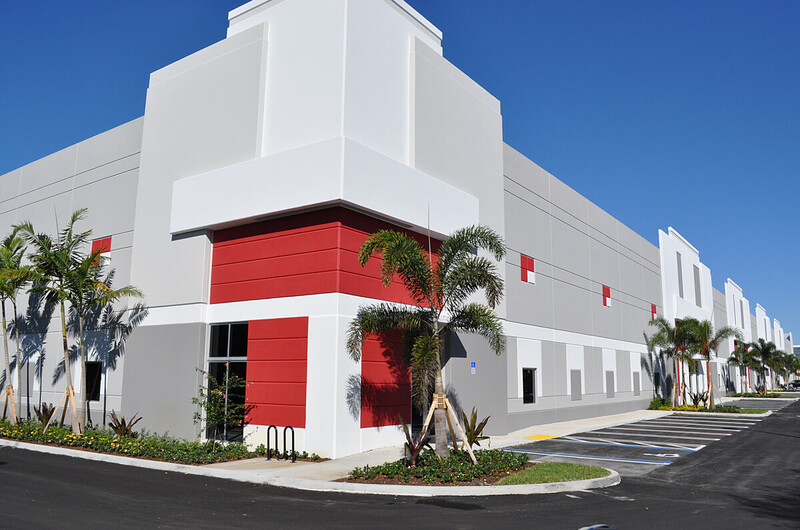 Exterior treatments, unusual for South Florida industrial space, include decorative spandrel panels that create a backdrop for high-visibility signage.